Australia is the world’s largest island and its smallest continent. There’s room to move in the Land Down Under, and with so many sights to discover and enjoy, there’s a great incentive to go on a walkabout adventure. Located between the Pacific and Indian Oceans, Australia is the world’s largest island and its smallest continent. There’s room to move in the Land Down Under, and with so many sights to discover and enjoy, there’s a great incentive to go on a walkabout adventure. Whether exploring the traditional lifestyle of the nation’s Aboriginal people, relaxing on a sun-kissed beach or revealing the night away in a city hot spot, Australia has something special to offer every visitor. Here are some offbeat places you must definitely visit! Coconut Island, Poruma Island, or Puruma in the local language, is an island in the Great North East Channel near Cumberland Passage, Torres Strait, Queensland, Australia. One of the Torres Strait Islands, Coconut Island is 130 kilometres (81 mi) northeast of Thursday Island. Administratively, Coconut Island is a town and Poruma Island is the locality within the Shire of Torres. In the 2011 census, Poruma Island had a population of 149 people. The ancestors of Coconut Island built their houses out of grass, coconut leaves and trees that floated down from the Fly River jungles of Papua New Guinea. The islands have sea turtle hatcheries, bird life, giant clam ground, huge palms, World War II relics and massive sand flats. Take the Eungella Dam road to Broken River. 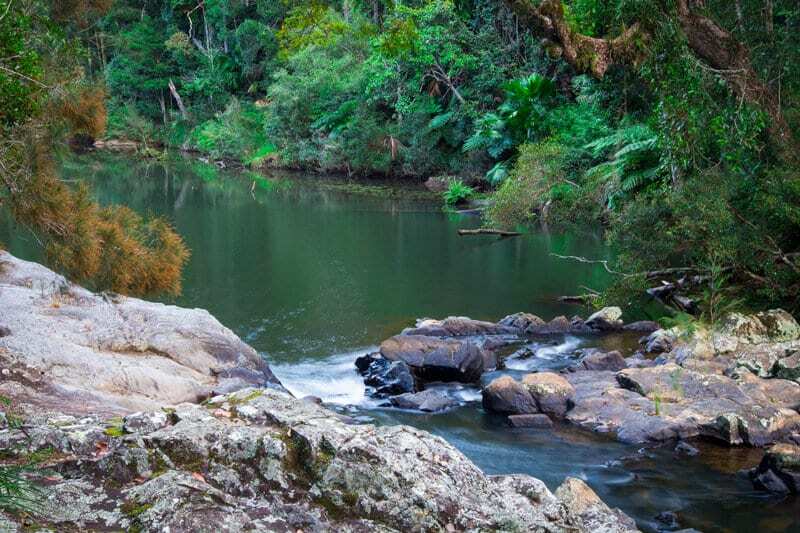 Broken River is an excellent place to enjoy bush walks within Australia’s largest stretch of continuous sub-tropical rainforest. The platypus viewing deck is near Broken River’s picnic grounds, where amenities such as public toilets, picnic tables and barbecues can be found. Camping permits and information about Broken River is available from the nearby Ranger’s Station. Platypus viewing is best done in the late afternoon or early morning. Look for air bubbles and ripples in the water to watch the platypus quickly surface. This striking, yet unusual rock formation formed after intense volcanic activity and mineralisation shaped the then coral reef environment. Today, the limestone appears from the surface in towering pinnacle outcrops known as bluffs that project 40 metres above the surrounding plains. The immense caving system of Chillagoe further developed after rain and carbon dioxide created a mild acid that slowly ate away the limestone. The system’s damp conditions, coupled with carbon dioxide dripping onto the limestone, made for the formation of the sparkling crystals and brilliant stalectites and stalagmites found within. The constant temperature of the caves also provides home to a variety of bats, some which use echo location to navigate their way around the system. Other creatures include spotted pythons, who feed off the bats by sensing their body heat. A perfect hunting technique for the cave’s dark conditions. 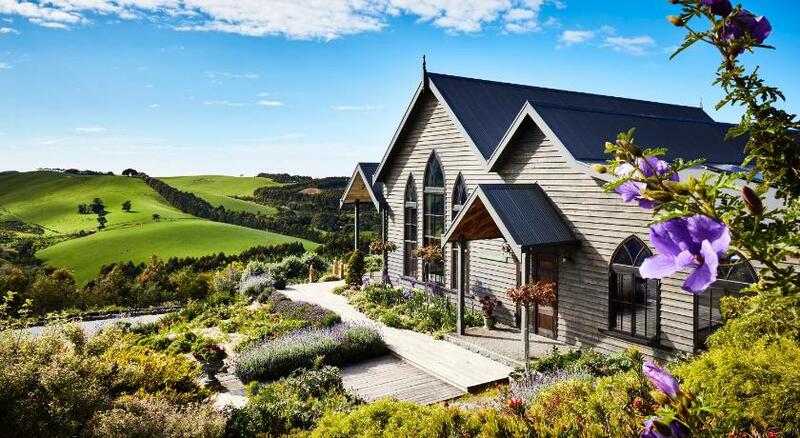 There’s something decidedly fishy about Fish Creek, with a population of 201, 165 kilometres south-east of Melbourne. Maybe it’s the giant mullet atop the Promontory Gate Hotel (aka the Fishy Pub), looking as if it has just flopped out of the sea and is slightly surprised to find itself perched on the roof. Perhaps it’s the Orange Roughy Cafe, or the brightly painted undersea murals, the Fish Tales secondhand bookshop, or maybe it’s just the fish-shaped seats scattered around town. Even the church seems to be in on the fun, with a giant red Christian fish symbol painted on the roof. The quirky little town on the South Gippsland Highway is just one of South Gippsland’s gems, often overlooked in the rush to get to one of Victoria’s best-loved national parks, Wilsons Promontory. Despite all the fish, it’s a magnet for artists and there are several good galleries in town, including the Fish Creek Pottery and Gecko Studio Gallery. But if you only have time for one, don’t miss the new Celia Rosser Gallery. Rosser, now in her late 70s, has spent the past 35 years collecting, drawing and painting all 78 known species of the banksia. 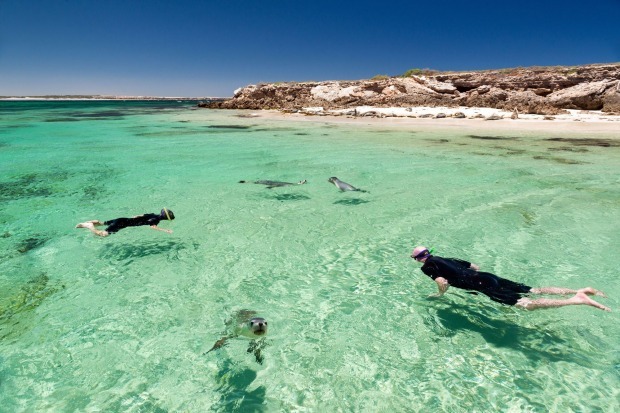 Baird Bay (formerly Beard’s Bay) is a small fishing village located 50 kilometres (31 miles) South of Streaky Bay on the west coast of Eyre Peninsula in South Australia. It is situated on the east coast of a bay named Baird Bay which opens into the north end of Anxious Bay. The towns and the associated bay are named after James Baird, who settled on the shores of Anxious Bay in 1850 before being speared by local Aboriginals on 2 November 1850. Although the township is small, Baird Bay has garnered considerable tourist attention due to its Australian sea lion colony, with local tour guides giving interactive swimming sessions with the sea lions. This has become one of the main tourist attractions on the Eyre Peninsula. The isolated town has very limited facilities, with only a few houses, a camping ground and boat ramp. The nearest town for supplies is Streaky Bay, around 50 kilometres (31 miles) away. Previous article Top beautiful Asian places for solo women travelers!